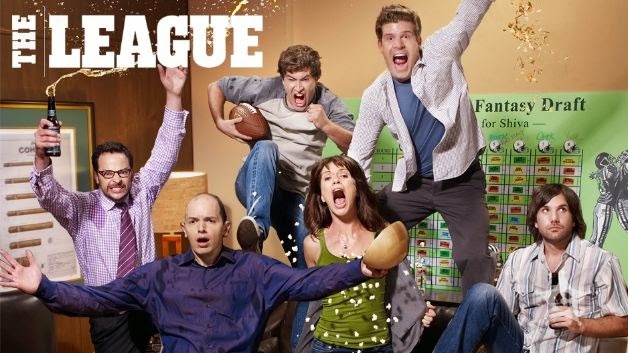 After years of watching The League, I definitely get the entertainment value of people winning and losing Fantasy Football leagues. I won once with a random selection of players I got because I auto drafted and victory wasn’t as sweet because I did absolutely nothing to work for it. On The League when you lose, there is the dishonor of the Sacko Trophy and usually an embarrassing bet that has taken place, which the loser has to carry out until the next season. In this case, the loser of this particular real-life league had to create a shot for shot remake of Sia’s ‘Chandelier’ video and post it on Youtube. I must say though he really did an excellent job. Full costume, dance move memorization and the rest, this gentleman really committed. Lately, I’ve been totally obsessed with sweaters. Tons and tons of sweaters. They are so simple and comfortable and they can style up any boring outfit. It’s my daily go to to pick out a sweater and then throw on a skirt and pair of tights or a pair of jeans and be good to go for whatever may come. One of my favorite sweater styles lately has been Fair Isle sweaters. Fair Isle is a traditional knitting technique used to create patterns in multiple colors. I’ve seen them everywhere this Fall and I have been obsessed with them too! They’re so colorful and festive that it can cheer up any dark and dreary morning. 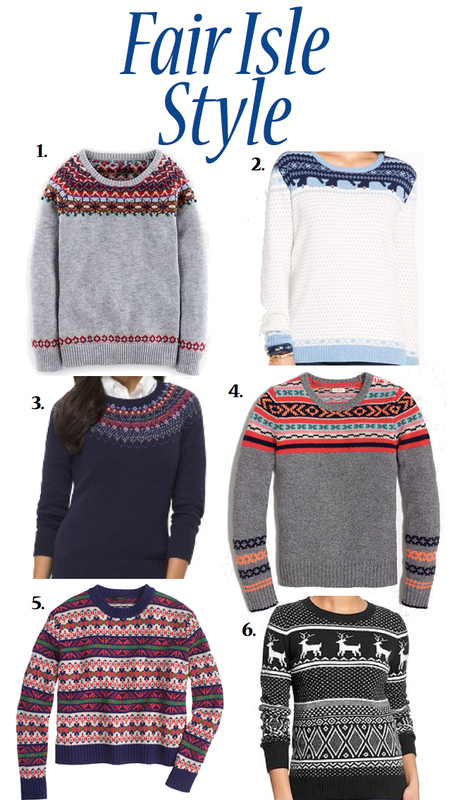 Check out some of my favorite Fair Isle style favorites below! Are you a fan of the Fair Isle style? Share with me in the comments below! I love to dress my desk up for the holidays. Having it look festive and bright cheers me up daily and helps me get into that holiday spirit. I mean, who can be sad at their desk when they have their own little light up Christmas tree! The Christmas Tree actually is powered by computer so I never have to worry about changing the batteries. It just plugs into one of my USB ports and it’s under $10 at Target. I also love to switch out the hand sanitizer and hand cream on my desk for something more festive. Bath & Body Works has the ultimate festive hand sanitizers so I went and picked up 5 of them for $5 to put on my desk, throw in my purse, put my door, etc. I love the ‘Tis The Season one cus it smells like Christmas fruits! I’ve talked about this in a winter hand cream favorites post, but it is also the absolute perfect set of hand creams for the Holidays. I grabbed the The Holiday Handbook Hand Creams set at Sephora during their big VIB sale and I have been loving it. 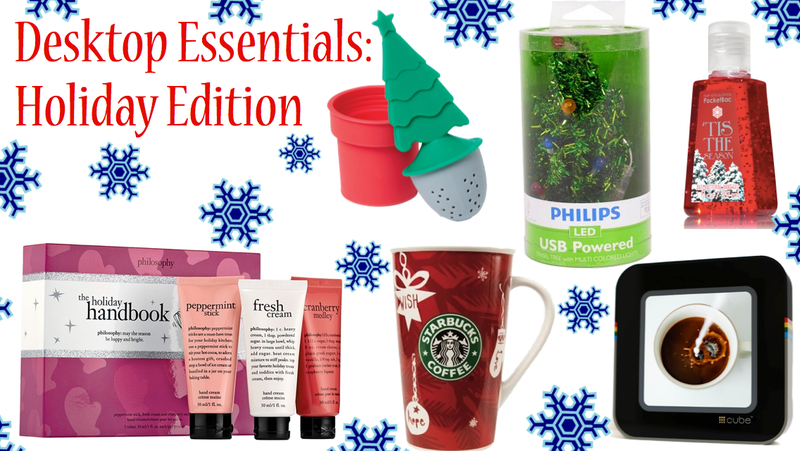 My very favorite has to be the Peppermint Stick hand cream, which reminds me of candy canes and Peppermint Mochas. Every festive desk needs a festive mug and I think the seasonal Starbucks Christmas Mugs fit that bill. They have a new one every year, usually designed to look like one of their Starbucks famous red cups. I have been drinking everything out of this mug just because it looks so cheery! I also like to switch out my little mini tea infuser that sits on my desk. I usually use a cute little whale infuser, but with the holidays approaching, I switched to the most festive one I could find. It’s a little Christmas Tree Tea Infuser that sits just below the water, bringing a bit of festive cheer to your glass. The last thing I like to dress up for the Holidays on my desk is my #Cube. It’s perfect for streaming holiday themed photos from Instagram all day long. My favorite one to stream right now is Holiday.Desires. Do you add any festiveness to your desk during the Holidays? Share with me in the comments! Buying a present for your favorite guy can be undeniably difficult. You want to get them something you know they’ll love and truth is, they’ll probably love anything you give them because it’s from you and nobody else. Here are some of the fun gifts I’ve had my eye on for my guy! MeUndies – Probably the most comfortable underwear in the world. If you’re looking for a gift he will absolutely love and you are at that point where giving underwear is totally not weird than you absolutely must pick him up a couple pairs of these. They have them in every basic color and they add a new fun pattern monthly. This month’s theme was the Fair Isle undies! Trunk Club – This is definitely a more expensive gift for the man in your life, but I always like to do one big gift surrounded by a bunch of smaller ones. This is perfect for any guy looking for a good wardrobe update, but isn’t quite sure where to go or what to buy. Every guy gets paired with a stylist who sends him an array of pieces based on his personal style. The Art of Shaving Kit – My boyfriend is really into his shaving kits. As a girl I probably don’t understand because, for us, all we need is some shave cream and a razor. He needs pre-shave oil and shave cream with a little brush and after-shave balm and special towels. Although I know nothing about shaving, I know that this Art of Shaving kit will be a huge hit for any guy who is really into his shaving. Sephora even had mini travel shave kits in store! Fantastical Belts– Gone were the days when men’s belts were boring and plain. I mean you can buy those too, but why not get him something that will really turn his head. I was looking around on Tuckernuck the other day and I saw their huge collection of what I like to call fantastical belts. Great patterns and styles and each one with their own personal flair. Season Pass – Lately, my boyfriend has been really into Homeland so when trying to figure out what to get him for Christmas, I thought why not buy him a season pass of his new favorite show from iTunes. He would get to download all new episodes right as they aired and watch them whenever he had a bit of time. This is also a perfect gift for those show lovers who don’t have cable! They will never miss a moment. Shearling Slippers – I picked up a pair of shearling slippers for myself a couple months back and I have been wearing them non-stop since the weather turned chilly and I have even tried putting them on my boyfriend’s feet a few times when I noticed his were a bit cold (they clearly did not fit). It’s definitely a time of year for cosy slippers and I have to say these shearling slippers may in fact be the absolutely coziest. J.Crew Casual Shirts – Maybe not the most fun gift, but perhaps the most necessary are the restocking of his casual shirts. Guys don’t always like going shopping for themselves so refresh his wardrobe for him with some casual buttons downs in colors and styles that you know he’ll like and you like too! Shhh…What are you getting for the special gent in your life? Share with me in the comments below! Happy December 1st everyone! The official Countdown to Christmas has begun and I love celebrating that countdown daily with fantastically fun Advent calendars. These calendars have 24 hidden surprises, one for each day until Christmas. After waiting too long last year, I went overboard this year and bought three different Advent calendars. I can’t wait to open up new surprises each day. Check out some of the fun Countdown to Christmas options below! The Benefit Cosmetics Advent Calendar was actually the very first Advent calendar I got this year. My sister grabbed it for me at a Benefit event she went to in November, knowing I had been super bummed to have missed out on it last year! It’s got the perfect, travel sized editions of my favorite Benefit products tucked away in each day and I so can’t wait to start opening it. It sold out pretty quickly last year, but you can still get your hands on it online at Sephora.com. Another one of the calendars that I picked up this year was the Yankee Candle Christmas Countdown Calendar. If you’re candle obsessed and Christmas obsessed, then this is the perfect Countdown calendar for you. It has small tea candles in each day in varying Yankee Candle Christmas scents. I can never get enough Christmas scents and I can’t wait to start using my Christmas candles all around the house. The last calendar that I picked up for this year was the Lego City Advent Calendar. If someone tell you that this one is only for children, then phooey on them. This is one of the coolest Advent calendars I’ve ever seen as each box opens to a little lego character or set piece to put together to create a snowy Christmas scene. I can’t wait to pop open each door and bring a little winter wonderland to life. 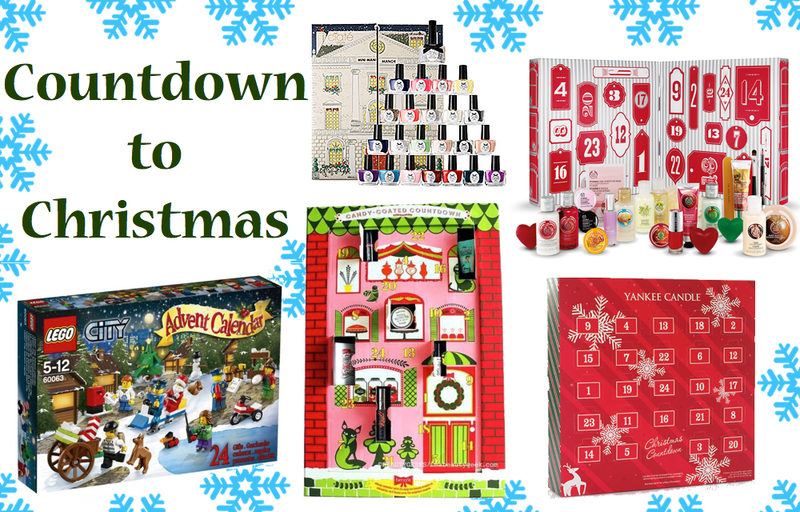 Another Advent Calendar that I had my eye on is perfect for the polish lover in your life. The Ciate Mini Manor Advent Calendar has 24 mini polishes in every shade you could want for the Winter and Christmas season. If you were looking to add a few more pretty polishes to your collection, then I would definitely grab this one! The Best of the Body Shop Advent Calendar is an in store exclusive at the Body Shop and contains an array of travel sized portions of your favorite Body Shop products. If you travel a lot and love using The Body Shop, then this is the perfect Calendar for you. I almost got this one too, but I thought it was going a little overboard to have four different Advent calendars to open! Are you getting an Advent Calendar this year? Which one do you prefer? Share with me in the comments below!